The SM65 is, quite simply, the best value available in today’s marketplace for strapping machines. At 65 straps per minute, it is lightning fast. Available in several different arch and strap sizes, the SM65 is an excellent strapper for a broad range of applications. 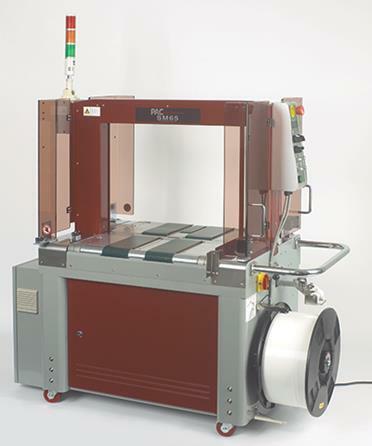 The state of the art strapping head has 30% fewer parts than comparable strapping machines and utilizes brushless DC motors. 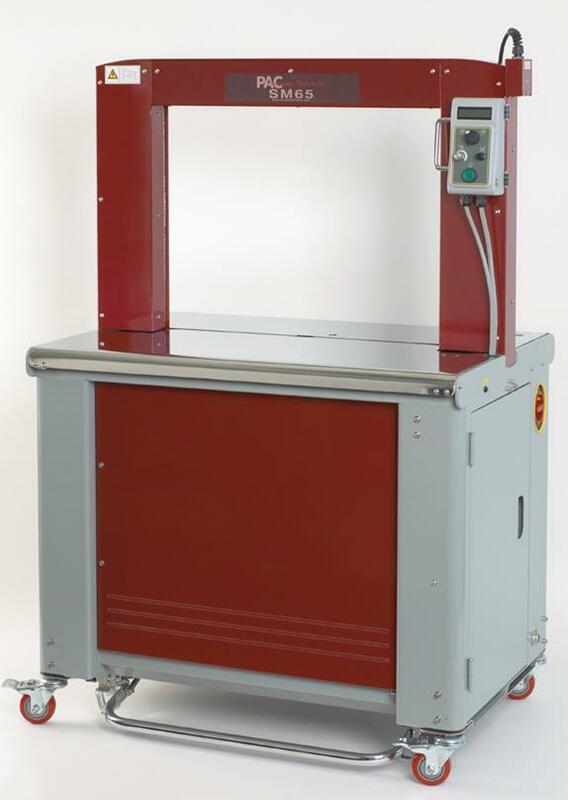 The result is a high speed strapping machine that consumes less power, requires fewer adjustments, and requires minimal maintenance. Access to the strapping channel requires no tools. Several options can be programmed when this feature is activated. 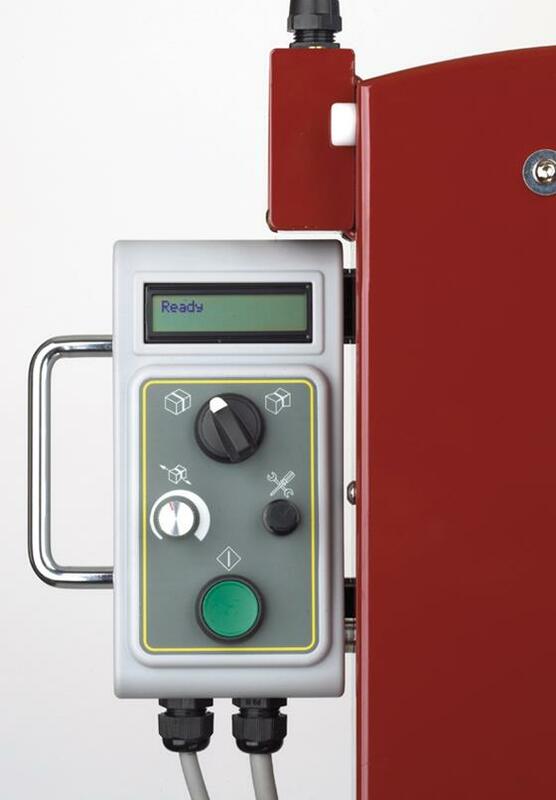 Allows the operator to access the control panel from either side of the machine. The strapping head never needs lubrication. Loading strap is automatic, activated by pressing the feed switch. 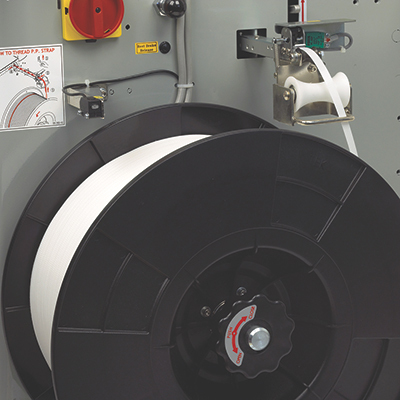 In the event of any feeding problems, the strap is automatically re-fed into the strapping head, and the machine returns to the ready position. 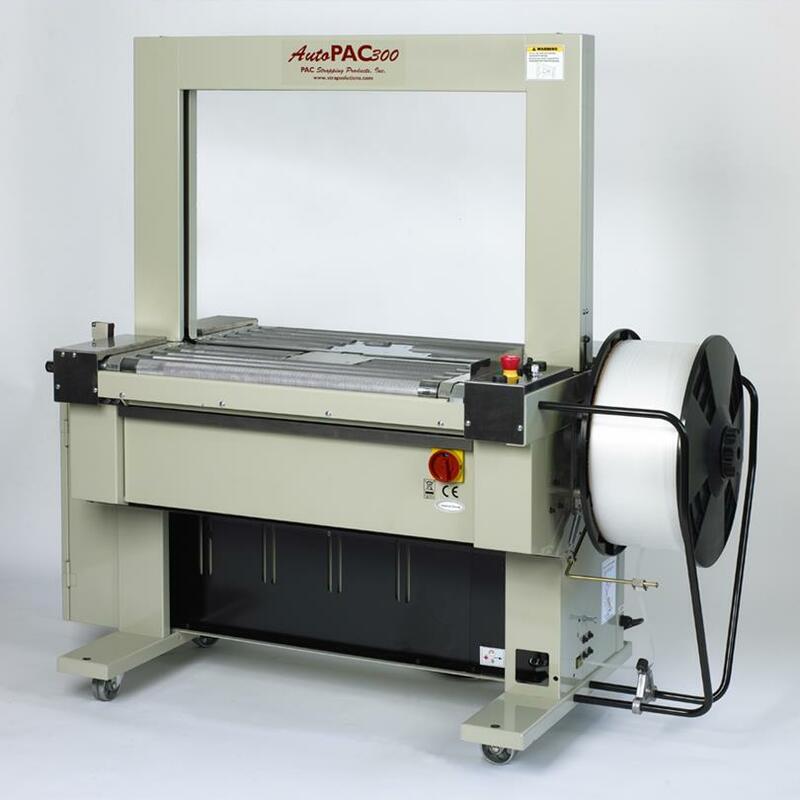 Missed straps are automatically ejected from the machine, and the Auto PAC 300 re-sets itself. 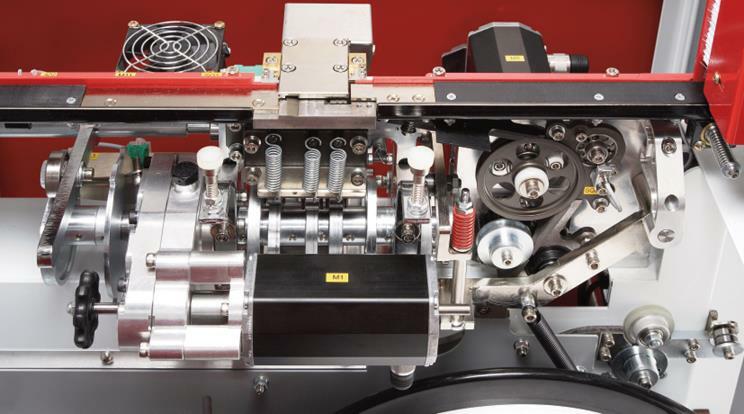 If the coil does not have enough strap to complete the cycle, the Auto PAC 300 ejects the short piece, and the machine is immediately ready for a new coil. 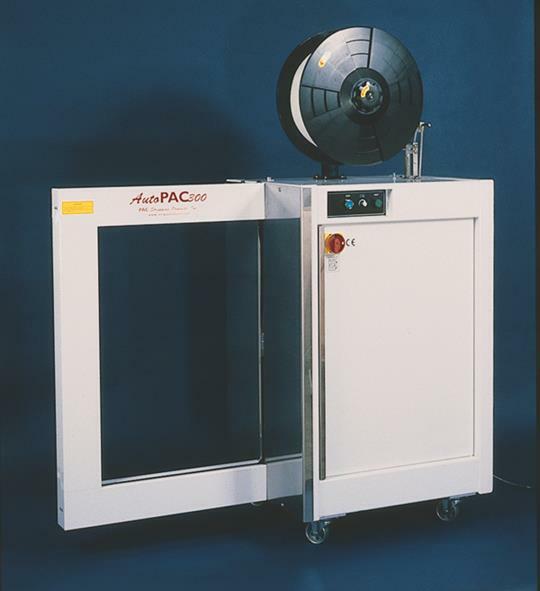 The Auto PAC 300 can be activated manually, with a foot pedal, or with a standard photocell. Tension is controlled electronically, yielding consistent tension. Utilizing the proven reliability of the SM65 strapping head, the SM60 incorporates the features of the SM 65 in a side seal machine. Designed for tough applications, the side mounted strapping head keeps moisture and debris away from the strapping head. The SM60 is the fastest side seal on the market at 60 straps per minute. The strapping head, proven in the SM65, utilizes brushless DC motors, has 30% fewer parts than comparable strappers, and consumes less power. 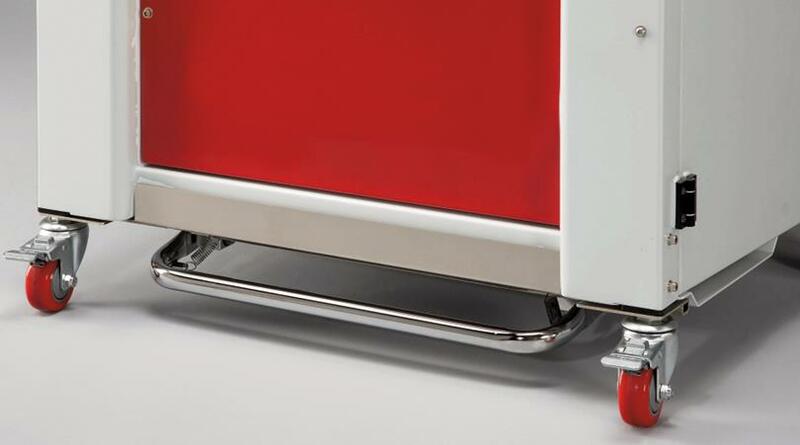 It requires minimal maintenance and is loaded with user friendly, standard features. 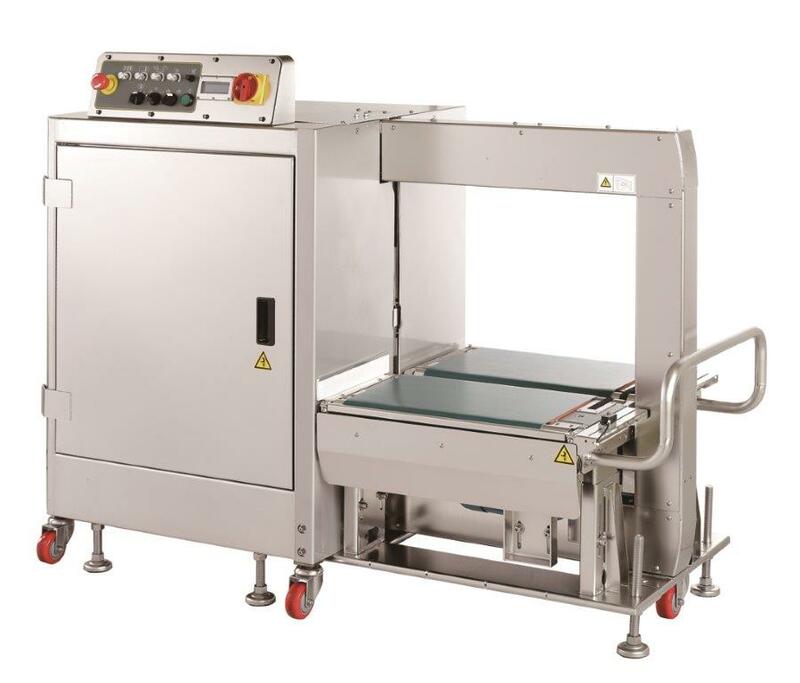 The SM60 can be used as a stand-alone strapper with a roller table or in line with a gap in an existing conveyor system. 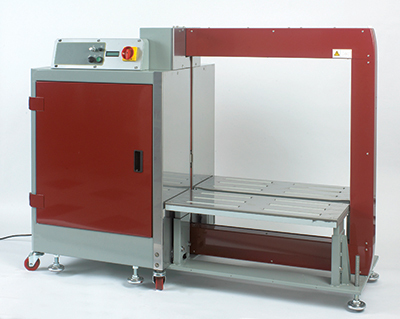 The SM60 can also be ordered with an integrated conveying system. The SM60 is available with several options. Please refer to the price list or contact customer service. Utilizing the proven reliability of the SM65 strapping head, the SM60 incorporates the features of the SM65 in a side seal machine. Designed for tough applications, the side mounted strapping head keeps moisture and debris away from the strapping head. The SM60 is the fastest side seal on the market at 60 straps per minute. The strapping head, proven in the SM65, utilizes brushless DC motors, has 30% fewer parts than comparable strappers, and consumes less power. It requires minimal maintenance and is loaded with user friendly, standard features. 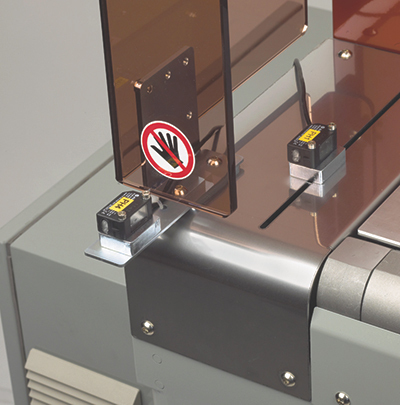 The SM60 can be used as a stand-alone strapper with a roller table or in line with a gap in an existing conveyor system. Loading strap is automatic, activated by pressing the reset switch. 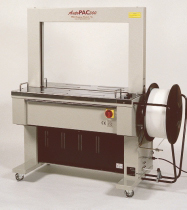 Missed straps are automatically ejected from the machine, and the Auto PAC 300 Side Seal re-sets itself. 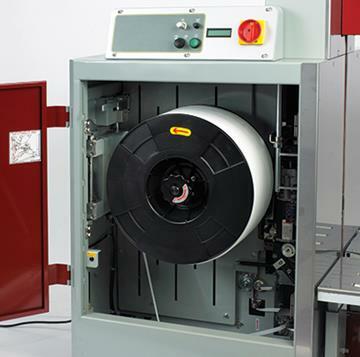 If the coil does not have enough strap to complete the cycle, the Auto PAC 300 Side Seal ejects the short piece, and the machine is immediately ready for a new coil. Tension Range: 15 – 150 lbs. Simplified strapping head with hinged top plates. The SM65-FA is a world class fully automatic strapper that will automate your strapping operations at a very affordable price. At a cycle speed of 65 straps per minute it is one of the fastest strappers available in the market. Designed with ease of operation and simplicity in mind, the SM65-FA head has no belts or pulleys and uses the latest in brushless DC motors for an extremely high level of accuracy and reliability. All motors are German made. Backed by the best warranty in the industry, PAC maintains a network of factory trained technicians along with 99% plus parts availability within 24 hours. 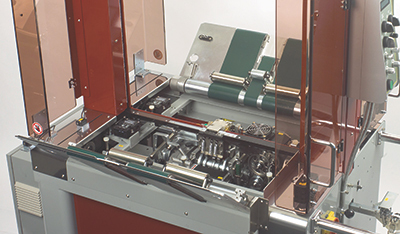 If you are looking for a fast, reliable, automatic strapper, you won’t find a better value than the SM65-FA. Utilizing the latest technology, the strapping head has 30% fewer parts than comparable strappers. The result is fewer adjustments and minimal maintenance costs. 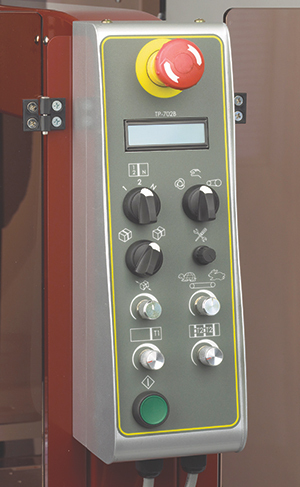 This ergonomic feature allows the operator to feed the strap automatically from the top of the coil. Coil changes are quick and easy. Dimensions and weight will vary by arch size.